In this in-depth LiveWatch review, we’ll cover their unique benefits, equipment pacakges, monitoring plans and pricing, top features, pros and cons and much more. LiveWatch, formally known as SafeMart, is a good option if you want great monitoring and protection without the commitment of long contracts. Their plans are affordable and they take care of their customers. 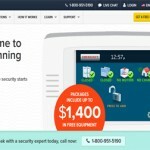 So if you’re interested in securing your home with LiveWatch, here is a review to help you come to a final decision about whether LiveWatch is for you. LiveWatch boasts that they have the fastest security system in the industry because of their ASAPer solution, which allows for complete control over how emergency alerts are sent to your family. It is personal. ASAPer will let you setup an alert that can text your daughter, son, best friend, bodyguard—whoever—you want when something happens on your system. 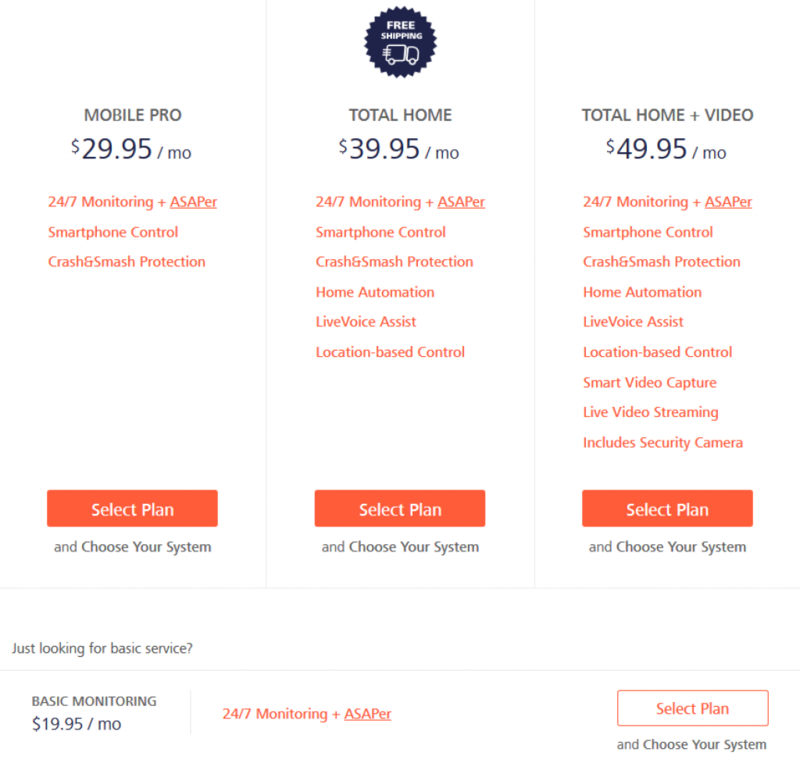 LiveWatch has low monthly fees, low equipment costs, and they do all this without the contracts required by other home security companies. They don’t use contracts at all. There is a 12-month agreement, but it also has a cancel anytime policy. If you’re dissatisfied with your service, you can return your equipment and that’s it. Note: During our Livewatch review process, we found that the return policy can get a little fuzzy on LiveWatch’s website. The return time period is stated in different ways on different pages. When I contacted LiveWatch’s team for a definite answer, it was stated that the policy is 45 days for product-only purchases, and for customers who purchase monitoring, you can cancel any time but must return all equipment within the first 12 months. 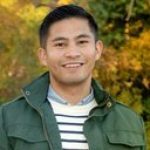 After our review of LiveWatch’s reputation, we can see LiveWatch backs all of their services with their excellent customer rating. They have an A+ rating with BBB and they gained an Angie’s List Super Service Award. 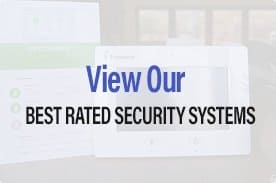 The only other home security company we’ve reviewed who has such accreditation is FrontPoint, our #1 pick in 2015 and a great offering to be considered here. The system is 100% cellular, which is the most secure when it comes to security monitoring. No wires means nothing to cut or tamper with, and you are still protected if the internet goes down. Alarm.com has one of the highest rated mobile apps in the industry, and LiveWatch uses their apps for their system. It works for iOS devices, iPad, Androids, Windows phones, Apple Watch, Amazon Fire TV, Pebble Watch, Blackberries—pretty much any internet capable device. The app is currently rated 4 stars on iTunes and 4.5 stars on Google Play. Keep in mind LiveWatch monitoring plans do not come with equipment. The equipment is bought separately. You do have an option to buy one of their Plug & Protect packages. They offer the basic package, which comes with 2 door sensors, 1 motion sensor, and a control panel. Or you can have the more advanced Plug & Protect IQ with their Smart Home line-up for Total Home members. It is a wireless self-installed security system, but it includes an IQ panel. The pane is and 7” touchscreen tablet that will act as your smart home controller. It has built in WiFi, a built in cellular chip, integrated Z-Wave, and built in camera. The package also includes 2 door sensors and a motion detector. You can connect 1 device or up to 40 Z-Wave devices. The equipment comes with a 1-year guarantee. If you don’t like it, you can return it within 365 days for a full refund. This is separate from the cancel anytime guarantee. LiveWatch also offers video monitoring as a $10 add on for any service level. Some other smart home features come with the Total Home package. The monitoring package adds additional services like the ability to arm and disarm your system with the Alarm.com app. It also had email and text notifications and the crash and smash protection coverage, just in case something happens to your equipment. With the Z-Wave technology for home automation, you can control your home lights, locks, and temperature from your smart phone or computer. You will also get access to the LiveWatch Image Sensor, which is a Passive Infrared motion sensor and camera that stores all images during movement-triggered events for you to view at a later time. This allows you to tell in a motion triggered event is really an emergency or a false alarm. LiveWatch offers additional support at no additional cost to customers with active monitoring contracts. Their support program is called Advantage and it includes chat, phone, and email support to all customers with their least expensive package of $19.95 per month or more. If you have decided not to have a monitoring package, they offer self-help documents online with guides and videos. The Advantage program gives you confidence in knowing that they’ll do everything possible in finding a solution for your problems. They offer support during normal business hours, but if you need assistance at a different time, you can get it for an additional charge. It’s also important to remember that you can cancel your service at anytime or return your equipment within the first 365 days. LiveWatch is a low risk decision. Advanced home monitoring with low monthly fee. It is available nationwide and features a "Cancel Anytime" contract without any fee.